NextNext post:Are your prayers too small? Hi Steve how can I nominate my fiancé Too Smooth of Too Smooth Entertainment.? 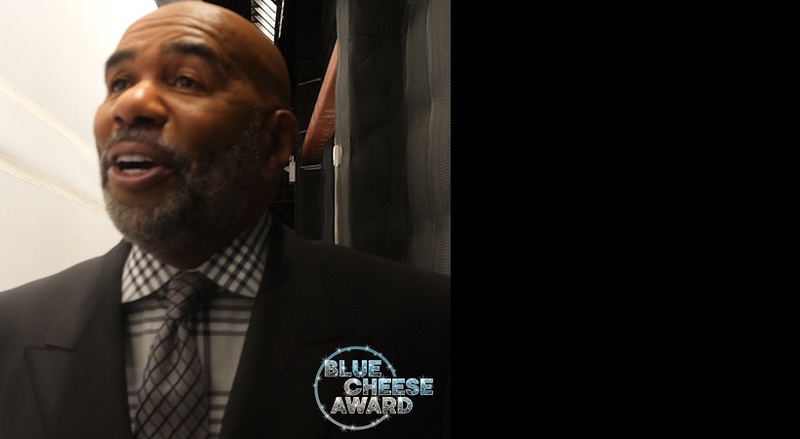 His style of dressing deserves recognition for the Blue Cheese Award. He has swag, is totally debonair with so much class. Check him out on http://www.toosmoothentinc.com I love this Blue Cheese award category for men and would like to consider my man as one of the recipients. Yes he does! Alright Jeff B! Yes he does! Alright Jeff G! Good Wednesday morning. What a beautiful day it is I thank God I’m awake and have the activety of my limbs. Steve I am so excited to read about the blue cheese award. Fashion is a beautiful thing and shines the most when men, women and children fall in line. I’m just a country girl from the small city of Troy Alabama, I love dressing and love to see other females and males doing there best to look “blue cheese” every day. I look forward to watching! the post of of the Blue Cheese Award. May the Lord content to bless you real good. Let Music Stir Your Soul! Congratulations to you, Jeff Goldblum. Steve, after watching Nick Cannon host The Wendy Williams Show, I want to nominate him for the Blue Cheese Award, because he be dressing. I would love to nominate my Bishop who is an older gentleman who has so much swag. Bishop James H. Everett II is a gentleman’s gentleman. He’s always bleu cheese dressing!! He’s so smooth, he carries a handkerchief in his pocket for the ladies. Now that smooth. Also don’t sleep on his sweetie Pastor Vanessa, they’re like bleu cheese and salad, together.